Congratulations to Mark Jones! He is off to Estonia with 29 other cadets from Wales on the 22nd of July for 8 days. He will be doing a mixture of cultural activities, adventure training and military skills. We wish you all the very best for this exciting opportunity! 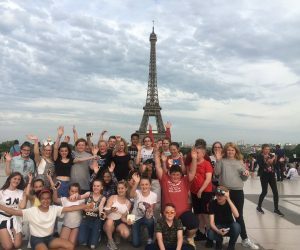 Madame Williams accompanied by Miss Hyde, Mr Winship and Mr Beard took 32 pupils on the annual trip to Paris. The trip was a tremendous success this year with the pupils behaving impeccably at all times. The coach driver complimented them on their behaviour on the coach and how clean they kept it throughout the trip. The trip comprised of one day at the French theme park Parc Asterix; a cultural day that included a guided tour of the Stade de France (where pupils saw the changing rooms, jail, Presidents suite and were able to run out of the tunnel onto the side of the pitch), going to the top of the Eiffel Tower, a boat trip on the Seine, followed by a tour of the Monmartre area including the Sacre Coeur; one day at Euro Disney and finally shopping on the way home at Cite Europe. All staff were proud of the pupils’ behaviour during the trip. The parents loved the fact that we posted photos regularly on Twitter so they could follow and see the great experience their children were having. Preston performed in an exclusive event for teachers at an inclusion through arts event for South East Wales Arts and Education Network. Along with his mentor Dean Yhnell, Preston performed his own rap composition and received a rousing reception. 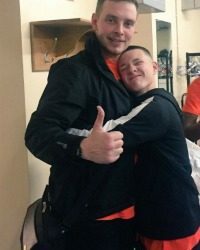 We are so proud of Preston wheeler and all that he is achieving in his love of rap! Congratulations to Emma Taylor Year 12 for being selected for the UCL Access to Justice Summer School to be held at UCL Faculty of Laws from July 31st – August 5th 2017. Emma was picked from an overwhelming number of strong applications for the programme and they were particularly impressed with the quality of her application and written statement. Awesome news Emma we are thrilled for you! We were highly honoured today to have the Champions League Trophy in our school. 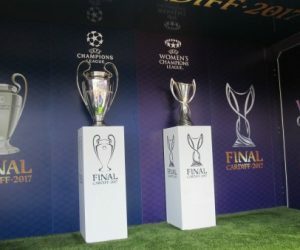 The atmosphere in school was awesome as pupils and staff lined up to have their picture taken with the trophy ahead of The UEFA Champions League final on Saturday, June 3, which will be held at Cardiff’s Principality Stadium. Many thanks to all from the FAW who arranged this with our school and really have made our football fans dreams come true with this once in a lifetime opportunity. 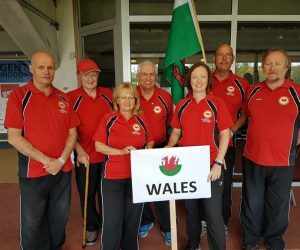 At the end of the qualifying competition for the Welsh Pétanque Association in Ghent Gemma finished 8th in the world, which placed her in the first round of the knock-out stage of the competition to face Sylvia Mrazkova of the Czech Republic, which Gemma won with a positive performance 13/9. Gemma’s next opponent is Phantipha Wongchuvej representing Thailand, who Gemma previously played in round one of the qualifying series. At the end of this competition Gemma will be ranked in the top 8 of world women’s single players, a great achievement. The Welsh Squad on the whole has learnt a lot from the experience of attending World Championship and will take away many happy and positive memories. Well done Miss Foster we are all so proud of you! Some of our pupils had an awesome time today visiting Cardiff University. They attended a ceremony where they collected their certificates. They also had a tour of the Uni and got to learn some Italian words. Many thanks to all staff who helped out with this from our school and from the University. 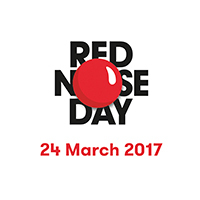 We are thrilled to announce that we have managed to raise a staggering £836.52 for Comic Relief/Red Nose Day. We had an awesome day in school. The ‘Llanwern Bake Off’ was a huge hit as always. Top three winners were Rosie Truman, Dylan Thomas and Alisha Young who each won a £10 book voucher. 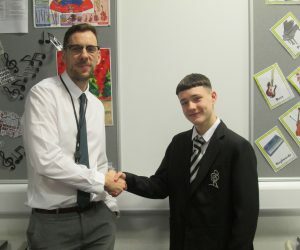 All pupils donated £1 for non-uniform, we had a staff charity netball match during the lunch time and Josh Duncan (Year 12) having his legs waxed for sponsorship. Massive thanks to all who took part in this day. On Saturday at the Civic Centre in front of the High Sheriff and around 200 other people Preston Wheeler rapped and Simon Linton from Gwent Music pitched to them all in order to secure a £5,000 grant for the ‘Gwent Urban Music Project’. They were successful in this and we are so very proud of Preston for having the confidence and courage to perform a solo rap for these people. Many thanks to Mr Newall (head of music) for being a constant support to Preston. This pupil is one to watch! We are all so very proud of you Preston! 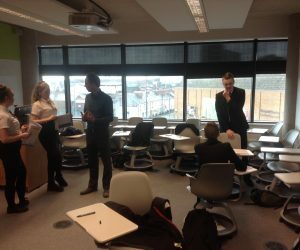 Some of our pupils attended a workshop at The University of South Wales to learn all about public speaking. 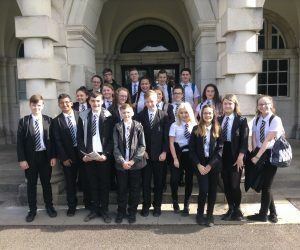 The students really enjoyed the day and are looking forward to using their skills as part of the young ambassadors programme in school. Well done to all who attended this workshop.